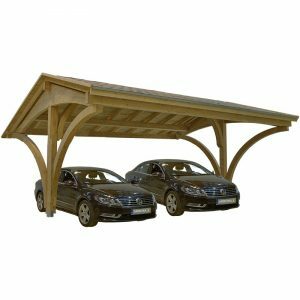 Arizona twin carport - Jagram-Pro S.A. The Arizona twin wooden carport is designed for two parking spots. It was created from laminated timber elements. Large and robust arches and square timber elements were used. This makes it resistant to weather conditions and passing time. 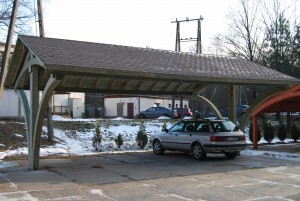 Functional and robust laminated wood enable the utilisation of the carport in a manner that satisfies expectations.